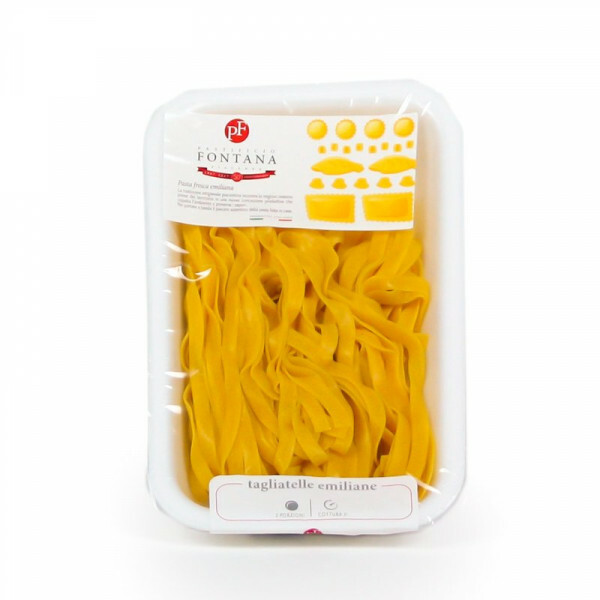 This fresh tagliatelle are an ideal match with Bolognese sauce, meaty ragus or mushrooms. Tagliatelle are a traditional type of fresh pasta from Emilia-Romagna. 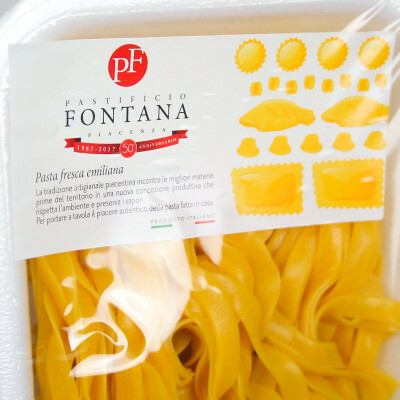 Pastificio Fontana uses the finest ingredients to give the perfect elasticity, bite and structure and Italian eggs for that perfect yellow colour. This is as close as you can get to having a skilled nonna in the kitchen. durum wheat, egg 24%, water. WHEAT, EGG. MAY CONTAIN TRACES OF NUTS, FISH, CELERY, SULPHITES, CLAMS, MILK derivates.